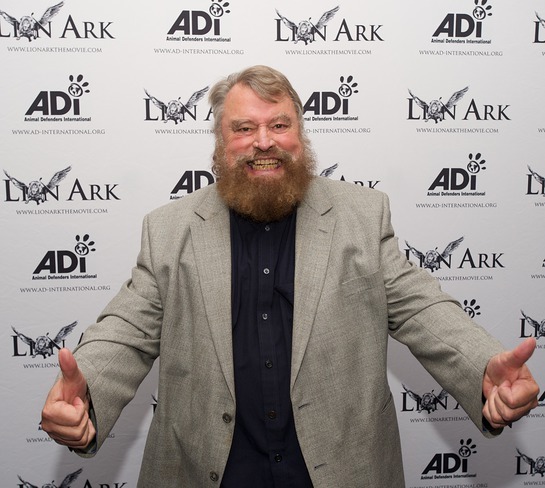 Brian Blessed delighted a glamorous celebrity audience this evening as he played host at the star-studded world premiere of ADI Films’ action-documentary Lion Ark at the Raindance Film Festival. Celebrities turned out in style to support Lion Ark, which follows the epic battle to rescue 25 lions from illegal circuses in Bolivia. Nutritionist Gillian McKeith, DJ Sarah Young, singer-songwriter Lynsey De Paul, TV host Wendy Turner-Webster, Northern Line’s Dan Corsi, and Wire’s Robert Gotobed and Colin Newman attended the glitzy world premiere, where Brian Blessed made his address. Brian Blessed introduced the film, saying, "Buckle up for a nail-biting adventure following the truly outstanding ADI as they struggle to liberate long-suffering circus lions and restore their true majesty. Lion Ark will leave you roaring for joy!" Lion Ark is an uplifting story of bravery, compassion, camaraderie and determination – how a poor but proud country said “no” to cruelty and how attitudes to animals were changed across an entire continent. The film has already attracted droves of celebrity support and glowing reviews from those lucky enough to watch it ahead of its world premiere. The film follows the world’s most ambitious and daring animal rescue which begins with a shocking undercover investigation and leads to a ban on animal circuses in Bolivia; when the circuses defy the law, the team behind the investigation returns, tracking down the illegal circuses and saving every animal. The rescue was backed by Emmy award-winning TV host Bob Barker and ADI Ambassador and CSI actress Jorja Fox, both of whom appear in the film. Bob Barker’s support enabled the rescue team to empty Bolivia of its suffering circus animals and build homes for them in the US. For more information and to watch the trailer, please visit www.LionArkthemovie.com.